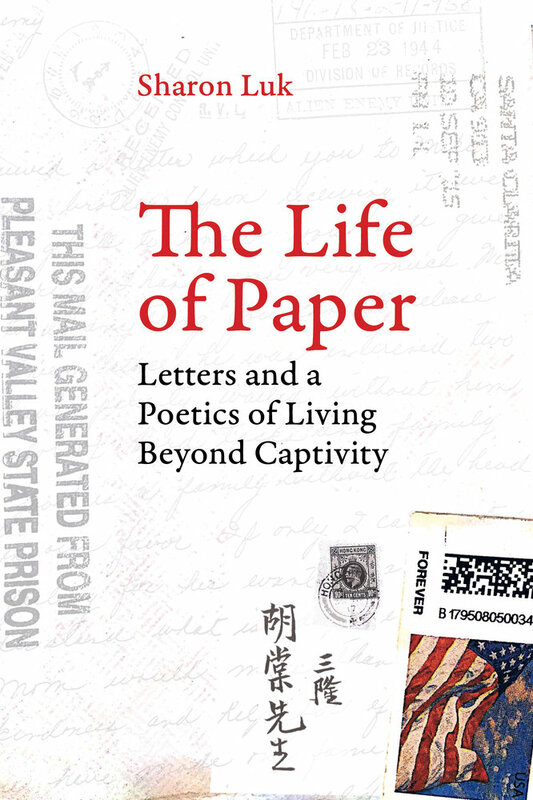 The Life of Paper offers a wholly original and inspiring analysis of how people facing systematic social dismantling have engaged letter correspondence to remake themselves—from bodily integrity to subjectivity and collective and spiritual being. Exploring the evolution of racism and confinement in California history, this ambitious investigation disrupts common understandings of the early detention of Chinese migrants (1880s–1920s), the internment of Japanese Americans (1930s–1940s), and the mass incarceration of African Americans (1960s–present) in its meditation on modern development and imprisonment as a way of life. Situating letters within global capitalist movements, racial logics, and overlapping modes of social control, Sharon Luk demonstrates how correspondence becomes a poetic act of reinvention and a way to live for those who are incarcerated. Sharon Luk is Assistant Professor of Ethnic Studies at University of Oregon.